Shares of Apple climbed Thursday to hit the magic number of $US207.05, making it the first US company to reach a market value of $US1 trillion. The latest surge came after Apple’s second-quarter results topped Wall Street’s expectations and sent the stock climbing. 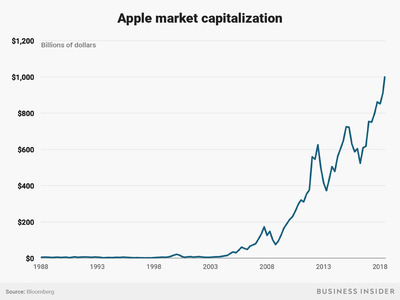 Follow Apple’s stock price in real time here. 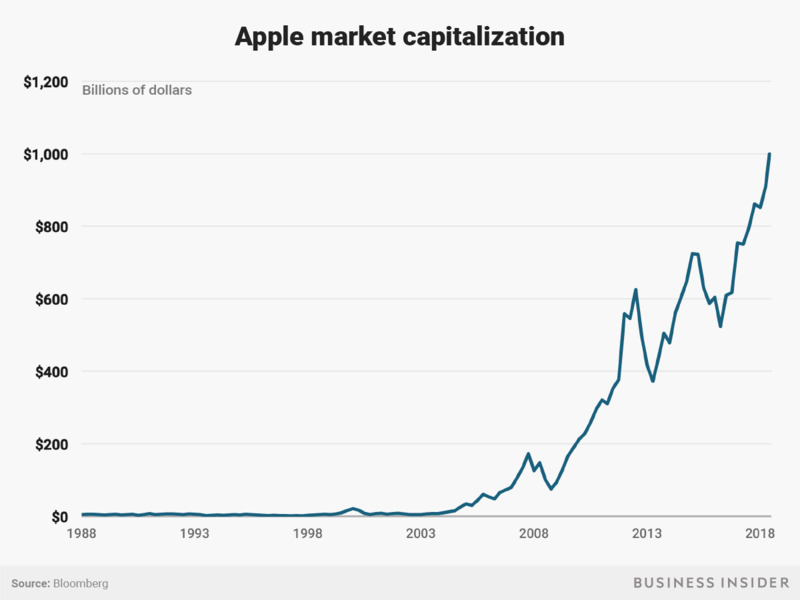 Adjusted for splits, Apple’s stock price has risen nearly 40,000% since its initial public offering in 1980. Now, the non-hardware services category is fuelling Apple’s continued growth. On Tuesday, the company said Apple Services – which includes things like the App Store and Apple Music – saw a 31% jump in revenue. For context, passing the $US1 trillion mark means Apple now has a value greater than the gross domestic product (GDP) of all but 27 major countries, including Argentina, the Netherlands, Sweden and Switzerland, according to the CIA’s world fact book. Other companies have come close to the mark, but no public US company has hit a $US1 trillion valuation. PetroChina briefly crossed the mark back in November 2007 – but for less than a day. The state-controlled oil firm is now valued at less than $US500 billion and is smaller than Chinese tech giant Alibaba. Elsewhere Saudi Aramco, the state-owned oil company of Saudi Arabia, has reportedly been eyeing a public offering that could value it near $US2 trillion, but the listing has been mired with delays. Mega-cap tech giants like Amazon, Microsoft, and Google-parent Alphabet were also in the race to $US1 trillion- but none of them could beat Apple in the end. Amazon has the second-largest US market cap as of Wednesday, at roughly $US872.5 billion. Wall Street thinks Apple shares can go even higher, too. Analysts polled by Bloomberg have an average price target of $US212.79, which would translate to a market cap of $US1.046 trillion.